How does Afton know me so well? Loved this article, and isn’t it true! Thank goodness for small steps forward no matter how many back we seem to take. Our hearts are in the right place when we decide to just hang on and not give up no matter what. Life happens constantly, and usually at a pace I don’t keep up with very well…. I’m still striving for the good out of good/better/best!!!! Thanks so much for sharing that gem. She would totally have been a blogger if they had such a thing in the 80’s. That’s great…doesn’t seem at all like any Ensign article that I’ve ever read…that woman was a blogger before her time! Agree with Meeks. I would read her blog. 🙂 Thanks for sharing this. Can’t we all relate!?! I agree with you guys. I totally thought it sounded like a blog post, too. Wouldn’t it be fun if there were occasionally this type of “essay” in the Ensign? I don’t know that I have the confidence for an Ensign article. But it helps with frazzled pathetic feeling of being a total loser when the goals don’t happen. Thanks for the reality check. I love her goals!! 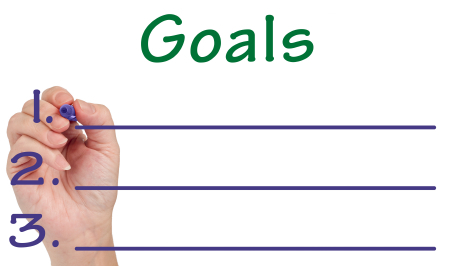 I need to reword my goals. Go to the temple monthly. That was hilarious, juist what I needed this morning. Hope all is well, I read your blog faithfully. By the way, you were officially released Sunday – HA!!! Thanks for sharing this Steph. Did you know the author lived in our stake in GA? She actually lived in my ward (her husband was our bishop) and we were very good friends with her family. She is hilarious in real life too. She and my mom have a running joke about all the things they do because they are “self-sacrificing” mothers–said with heavy sarcasm. She did write some books in the 80s (since they didn’t have blogs then). I never knew she was in the Ensign too. What a fun find! Thanks so much for posting this. For the first time ever, I have some new year’s resolutions. We’ll see how I do on them. For some reason, I have a feeling they’ll end up like the author’s…..
That was precious. Oh, I love her voice. Maybe the Ensign could go back to a little more of that kind of Real Talk once in a while… Or not. But I love the permission for mediocrity. I started my goals 2 days early, so I’d already be in the habit by 1-1-11. I almost made it through the NY party without eating anything sugared. Almost. P.S. Motherhood is the same today as it was then; and I wasn’t even BORN then. Yep, I definitely liked that article. Some days, my goal is to just get through the day with a smile on my face. And on some days, that is a BIG accomplishment!